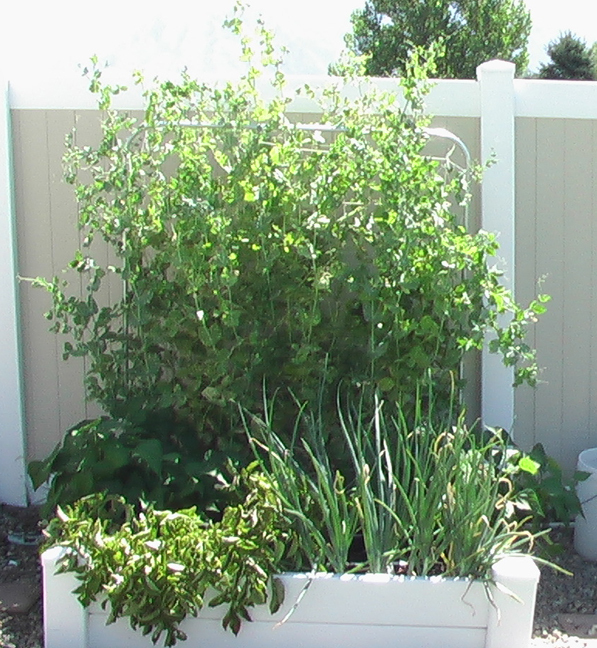 If you can believe it, I have been getting TONS of peas–all in July! By the calendar my peas should be long past dead, but instead I’ve had nearly a month of snow pea bliss. 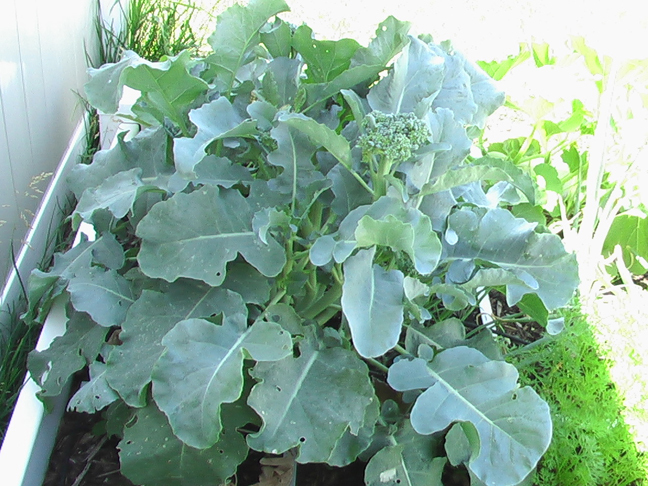 I started harvesting broccoli about 2 weeks ago. The original head of broccoli was small (but SOOOOO delicious! ), but I left the plant and it is growing more side shoots into little heads. These are equally delicious, and much more plentiful. The plant itself has taken over 2-3 squares. I think it’s almost time to pull it out. 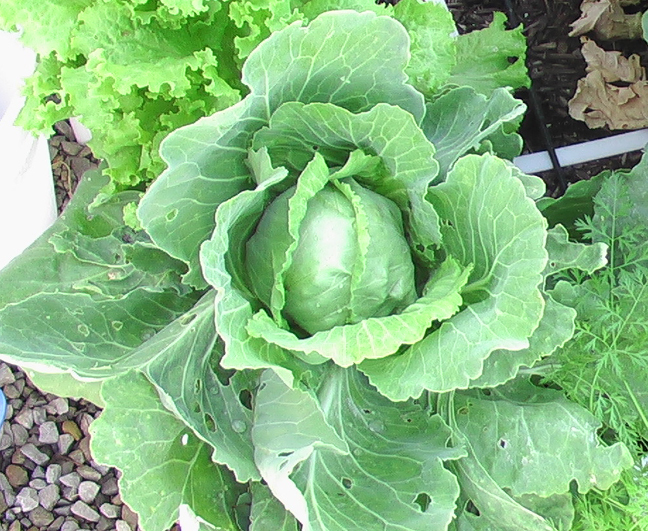 I have struggled with keeping the worms out of my broccoli and cabbage–I lost one head of cabbage to them. But I harvested another head, and have one left in the garden. 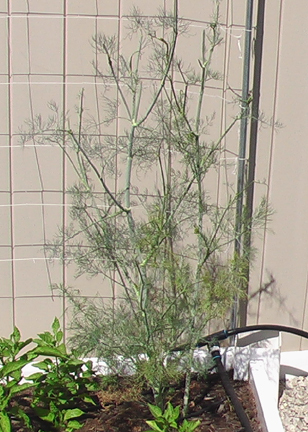 My dill keeps flowering, but I keep snapping them off and it seems to keep on keeping on. My potatoes are one SAD SAD story. I think they have a disease–probably a fungus. I just barely got some anti-fungal at IFA, and I’m hoping they might revive. If not, it’ll be a total loss on potatoes this year. My tomatoes are getting huge, and all of them have fruit on them. 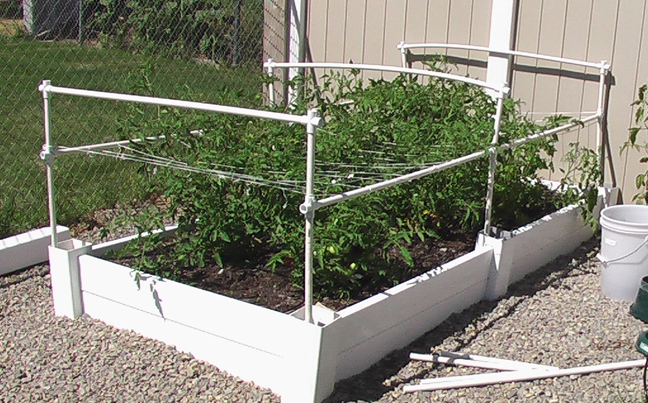 I finally got around to building a trellis. Home Depot had the nylon netting last year, but none this year. I ended up ordering it online at Burpee.com. It took about a week to arrive. My goal is to build layers of horizontal netting, and pull the plant tips through it. Hopefully it will grow in layers, and the plants will have enough support that they won’t fall over. You can see one layer here. The plants have gotten tall enough that I need to tie another layer on top. I have enough supplies for 3 layers, but since it’s PVC I can always add more. 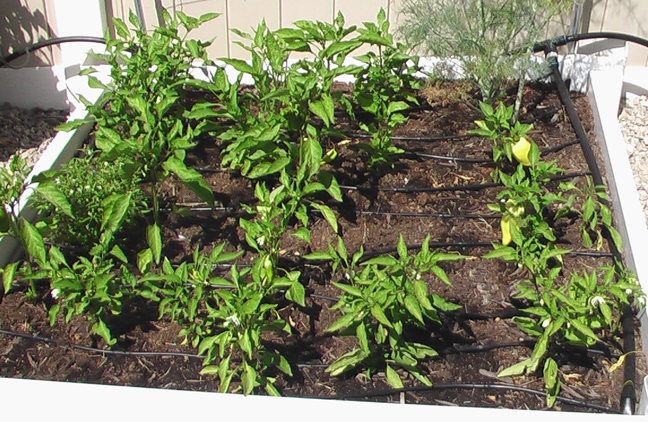 I kept adding peppers–I started with one per square foot, but put more in. They are all small, but I think all of them have little peppers growing. Some have bigger peppers. I had to pull one out–I’m pretty sure it had TMV. The leaves were all funky and the blossoms just dropped. 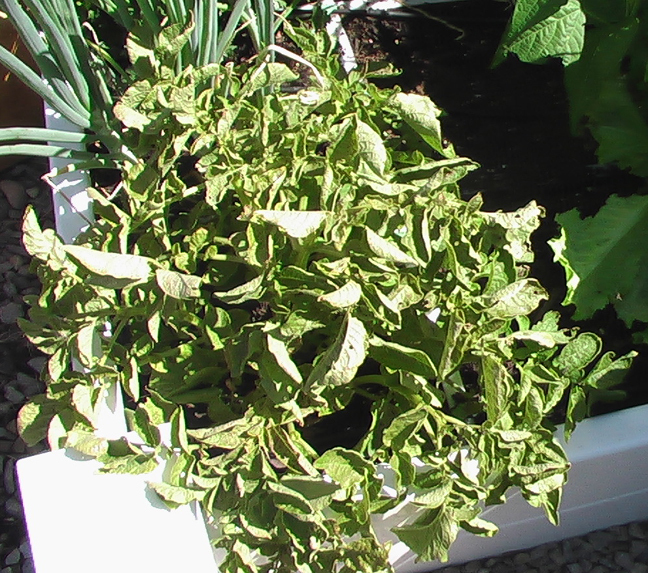 I’ve been praying it didn’t infect the other plants.